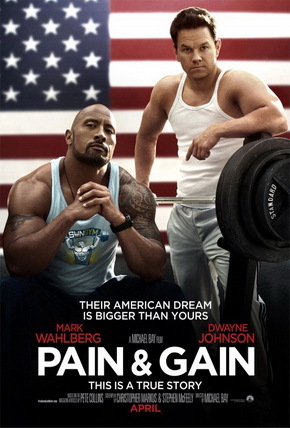 Last weekend, I went to see the Michael Bay (Bad Boys I & II, Pearl Harbor, Transformers) directed and produced Pain and Gain. It stars Boston native Mark Walhberg (The Fighter, Max Payne), Anthony Mackie (8 Mile, The Hurt Locker) and actor/professional wrestler Dwayne “The Rock” Johnson (The Scorpion King, GI Joe: Retaliation). Below is the movie trailer. Note, this movie is rated R, so the clip is a little racy. If you are easily offended, do not watch the clip. The movie is based upon a series of crimes that occurred in Miami during the mid 90’s. These crimes were perpetrated by a gang of body builders at the Sun Gym. Members of the gang include Daniel Lugo (Walhberg), Adrian Doorbal (Mackie), and Jorge Delgado (Johnson; in the movie, a composite of him and others are the character Paul Doyle). The crimes include theft, kidnapping and murder. The crimes were documented in the Miami New Times in 1999. Producers, including Bay, took a dark and comedic approach to the film. This has lead to a rise in criticism and may contribute to a 48% rating on movie critic site, Rotten Tomatoes. The families of the deceased are angry stating that the movie conjures sympathy for the gang. This is unsettling considering that Lugo and Doorbal are currently on death row. However, the theological aspect of the film is what is of interest for me. The movie trailers barely highlighted the intense spiritual battle that Doyle was engaged in throughout the film. Doyle, who served time, and undergone a religious experience (born again in prison) is tempted by Lugo (they work out at the same gym) to engage in his crime scheme. Doyle first fights the temptation and declines the offer. He is focused on growing in Christ. However, Doyle has a negative experience with the local priest, who was very instrumental in Doyle’s conversion. He is also the only friend that Doyle had upon release. Doyle worked at the church. It was his only source of income as well. As a result of losing a partner in the Christian faith, and a friend, he connects with Lugo and the rest is history. 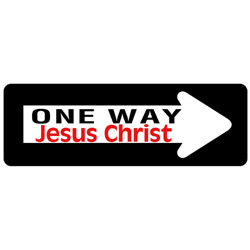 After he connects with Lugo and engaged in sin (drug usage, promiscuous behavior with strippers, heavily drinking, kidnapping, assault), he continues to pray, wear “One Way Jesus” t-shirts, and even engages someone in the “Sinner Prayer” and “leads them to Christ.” To go the extra mile, Doyle builds a shrine to Jesus and the Blessed Virgin Mary at the warehouse they are keeping the kidnap victims. He runs into the shrine and prays when he begins to feel remorse for the victim he, Lugo and Doorbal are keeping hostage. At the end of the film, Doyle makes amends with the priest. He confesses his involvement and the roles of everyone else in a sort of spiritual cleansing. The end credits show the character singing in the prison choir, as happy as can be. Throughout the entire movie, as I watched the character go back and forth between using cocaine, and praying to God for help, I wondered about the role of the priest. The priest, arguably was the most important person in this man’s life outside of prison. Because of the loss of the relationship, Doyle reverted back to his old lifestyle. It proved to be his demise. Is there someone that you know who you are their connection to God? We often hear that everyone has their own personal relationship to Jesus, and yes, we do. However, there is someone we all have, that we admire their level of dedication to the faith. Someone who we say, “Wow, he/she is devout! They are saved! They are going to heaven! He/she is a saint. I should learn from him/her. I need to have him/her pray for me.” For many, it’s their mother, grandmother, a specific saint, a minister. For Doyle, that person was his priest. I know that their are a couple of people that I know I am that person in their lives. It was the scariest thing for me when I accepted the call to the ministry. I was still relatively young, and enjoyed many worldly pleasures. When I noticed some of my friends taking notes on my actions, I realized that I needed to change my activities. I also realized that I needed to be more understanding and forgiving than I have been in the past. I knew that I had to do my part in order to help those who looked to me as their example of Christ-likeness, the same way the people I looked to helped me. This was not an easy process and it’s an everyday growing experience. I encourage you to make sure that you show God’s grace, mercy and love to that friend or family member who is addicted to substances or just can’t stay out of trouble. If we are Christians like we profess, we ought to act like it by praying for them, by encouraging (not enabling) them, and by loving them.